John Hamilton is one of the Principal Brokers of Elite Realty Ltd. 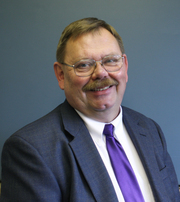 He has over 28 years experience in marketing and selling homes in the Portland and Salem Metropolitan areas. John holds degrees in both Civil Engineering and Business Management from Oregon State University and is an excellent negotiater. He held the distinctive position of Listing Broker for all HUD acquired properties in the State of Oregon for more than 10 years. and as such is considered an expert in the marketing and sale of these properties.